Although Zamboanguita is one of the poorer municipalities of Negros Oriental, it is trying very hard to protect it’s marine resources. A comprehensive “Coastal Resource Management” (CRM) plan has been made and several Marine Protected Areas have been established in the last ten years. Unfortunately hope and a lot of the hard work was destroyed by typhoons, causing some of the protected areas to fall back into unmanaged areas. This will hopefully change in the near future as the will is there from the municipality and local people to change this and we can hopefully help them. Below is additional info on some of the closest MPAs, as well as a map of some of the marine protected areas listed in the CRM plan. Andulay is the second oldest MPA of Negros Oriental, after Apo Island. It is located in the neighbouring municipality of Siaton and was established by their municipality and the Provincial Environmental and Natural Resource Division in 1996. Even though the typhoon Sendong in 2011 thoroughly devastated this MPA, the demarcation is still present and there seems to be some enforcement by the local fishermen association. The EcoFISH project focusses on this MPA (among others), and the local fisherman’s association seems to be active and willing to improve things. The diversity and abundance of fish is low though due the high fishing pressure in the whole municipality of Siaton. This is the oldest MPA of Negros, and the second oldest functional MPA of the Philippines. It has been established already in 1981 as a cooperation between scientists from Silliman University in Dumaguete and James Cook University in Australia. The coral reefs on the west side of the island are very healthy with high life hard-coral cover and high fish diversity and abundance. They are sheltered from typhoon damage because of their location in the west side of the island. The east side of the island was, like many other places, ravaged by typhoon Sendong though. But the fact that this is a small island, which is often at least partly sheltered from typhoon damage, this island is an important species pool for the MPA’s on the east coast of Negros Oriental. Because of the healthy reefs on the west side, many predatory fish and turtles are seen, making this the biggest tourist destination of Negros. This is the most effective MPA of Zamboanguita. Divers from different diveshops come here for the schools of Barracuda and Jackfish. The MPA rules are reasonably enforced here since a few years already and the results are visible. The abundance and diversity of fish is large much larger than at other sites. The site often has strong currents, making the water clear and attract more pelagics. Dauin is municipality to the north of Zamboanguita. It has many Marine Protected Area’s, but this one is the only one we frequently visit. This MPA is an example of how it is possible for a reef to recover from typhoon damage. This MPA was equally heavily damaged by the Typhoon Sendong that devastated the reefs of the east coast of Negros in 2011. But although the damage is still clearly visible, large areas of corals are recovering. And even though this is a small MPA, the amount of Parrotfish, Groupers, Surgeonfish, Sweetlips and other commercially interesting fish species is high. We often go to this site to train our volunteers in fish identification, and use this MPA as a baseline for how reefs can recover from typhoon damage. Lutoban MPA was re-established in 2015 and is located right next door to MCP. 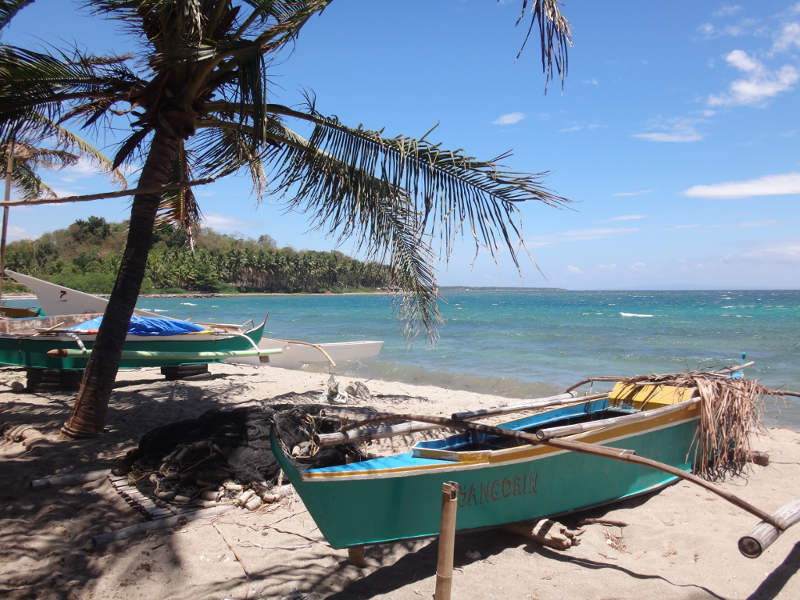 The fisherman's association was eager to re-establish the MPA after the destruction caused by typhoon Sendong in 2011 which took away most bouys and ropes. Since then, enforcement along with fish stocks have been slowly recovering. We see many of the species here that we see in the better organised MPA's, so re-establishment of the MPA's will certainly benefit the many species already present here. In addition to re-establishment of the old MPA, we will parttake in a new project with the provincial Environment and Natural Resource Division, which aims to expand this MPA with the nearby mangrove and seagrass areas, making it a tri-habitat MPA. Mangrove restoration by both our volunteers and the local community will also be part of the project. This MPA is currently not being enforced. An effort has been made to establish this MPA but after typhoon Sendong in 2011, all efforts ceased. It is still a very nice reef, even though fish cages are often seen on this reef. The municipality has plans to re-start the establishment of this MPA again after the project for the improvement of the Lutoban and Basak MPA's has been completed. This is the newest MPA of Zamboanguita, established in 2014. It is mostly a sea-grass sanctuary with some small sections of artificial reef for juvenile and other small fish. As such, the sanctuary fulfills an important ecological role in the network of MPAs of Zamboanguita. It is also the first MPA where we assisted in the establishment. There are plans by the municipality of Zamboanguita to establish an MPA here. Due to a limited budget this will only happen after the Malatapay MPA has been established though.